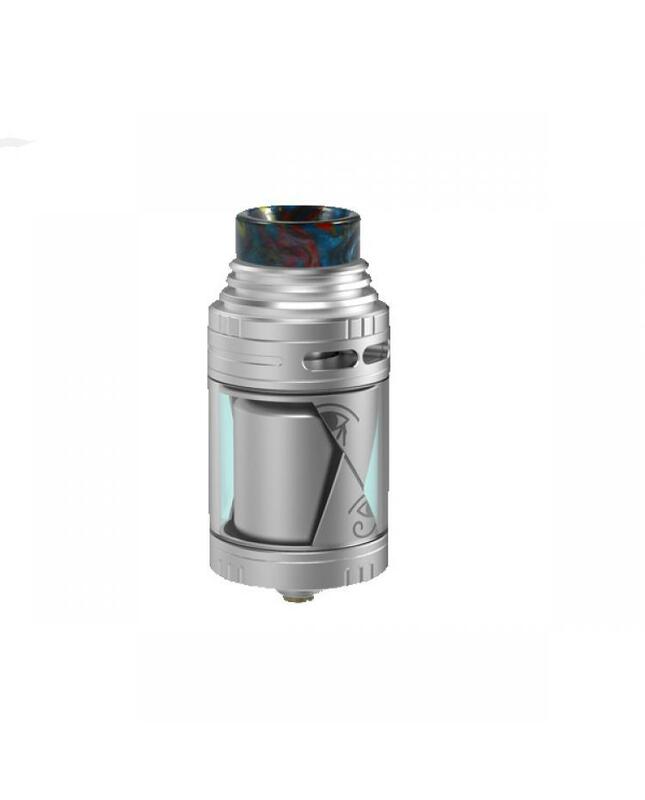 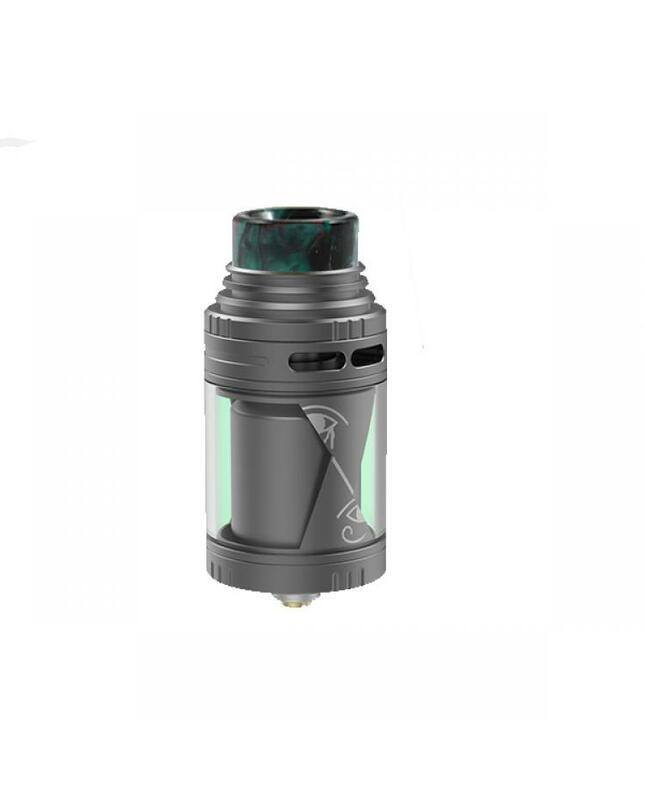 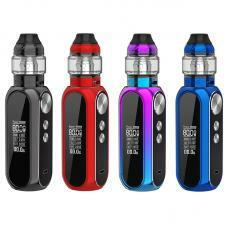 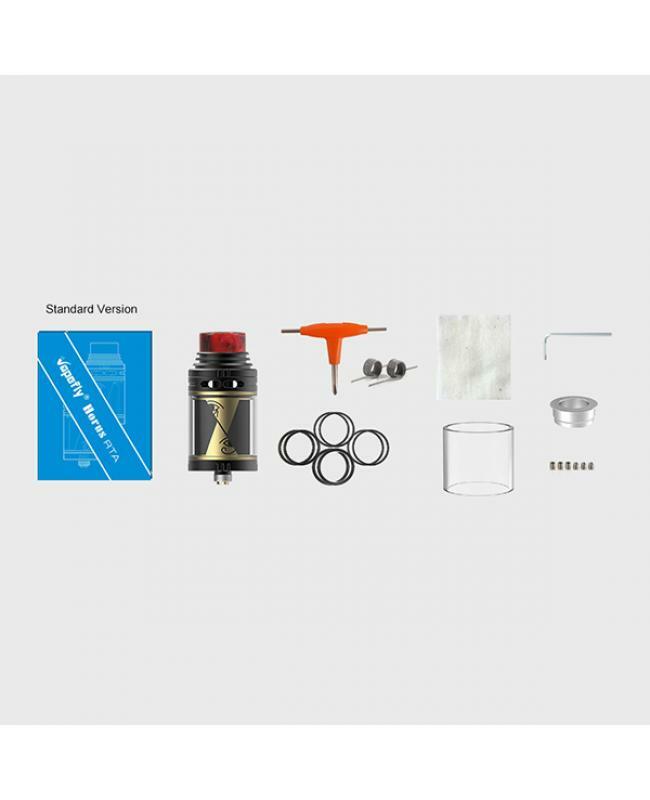 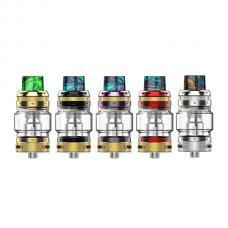 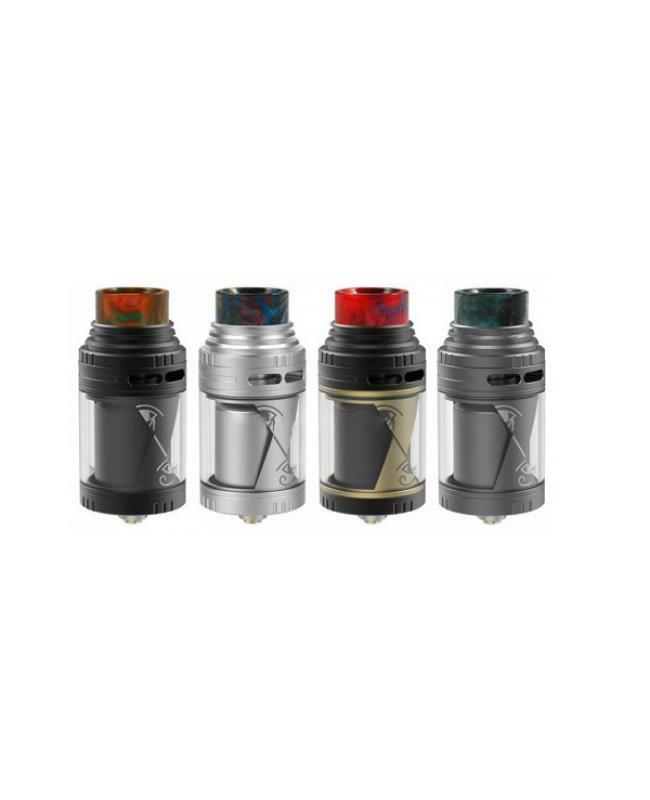 The Vapefly Horus 25mm RTA tank, 4 fashionable colors available, made of high quality stainless steel, resin and glass materials, it can hold 4ml e juice, the TPD version comes with silicon part, after installing it, it only can hold 2ml e juice. 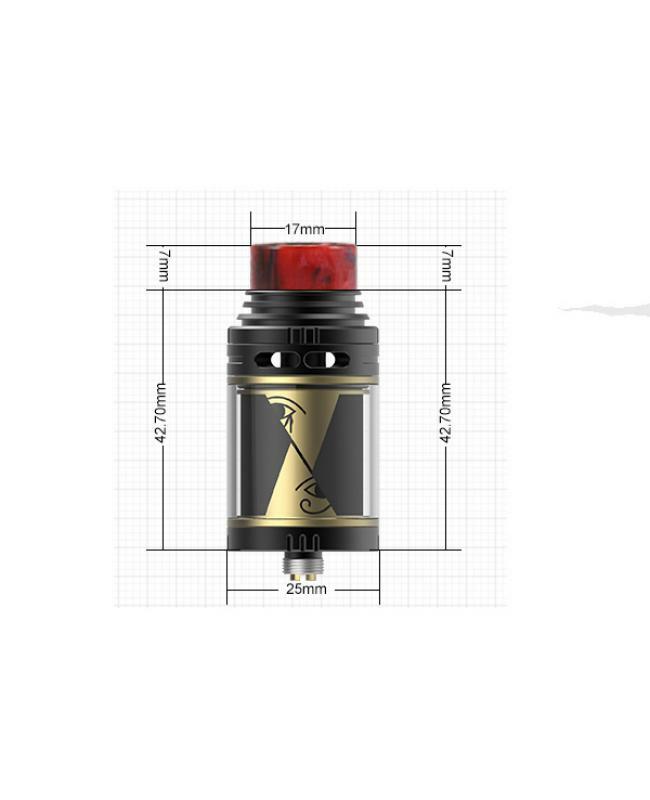 the inside building deck with 24k gold plated and only allow single coil building. 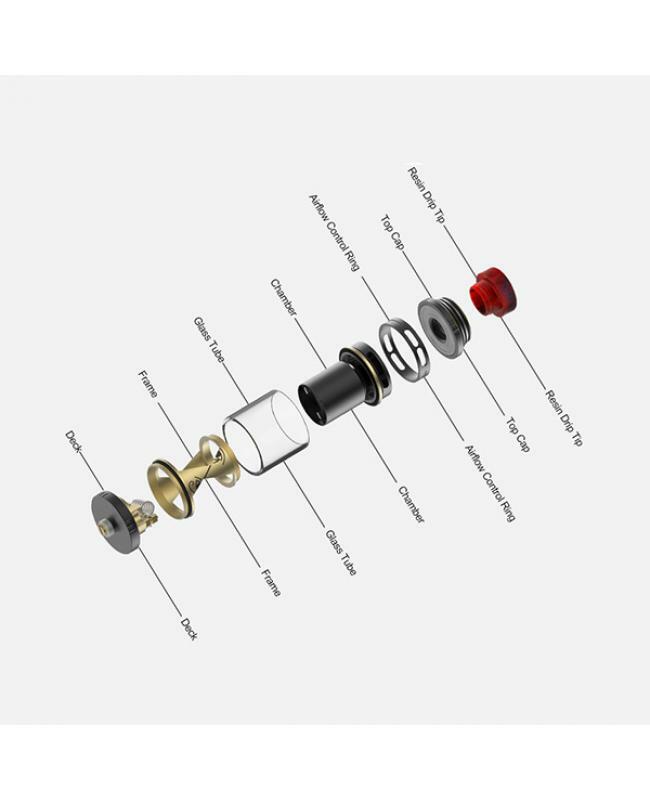 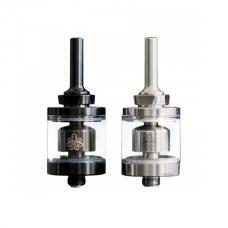 the unique "B" airflow system makes air flow surrounding the coil to produce the best flavor and no leakage. 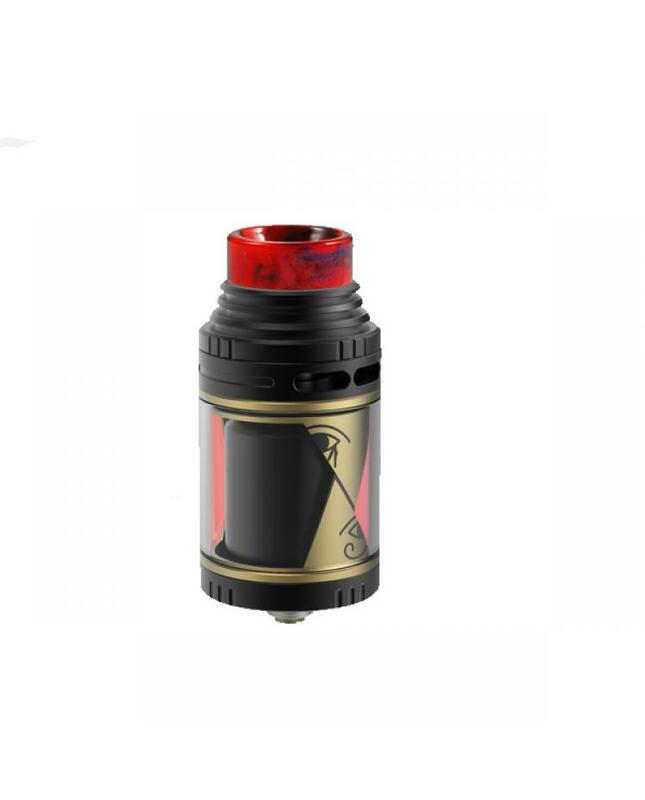 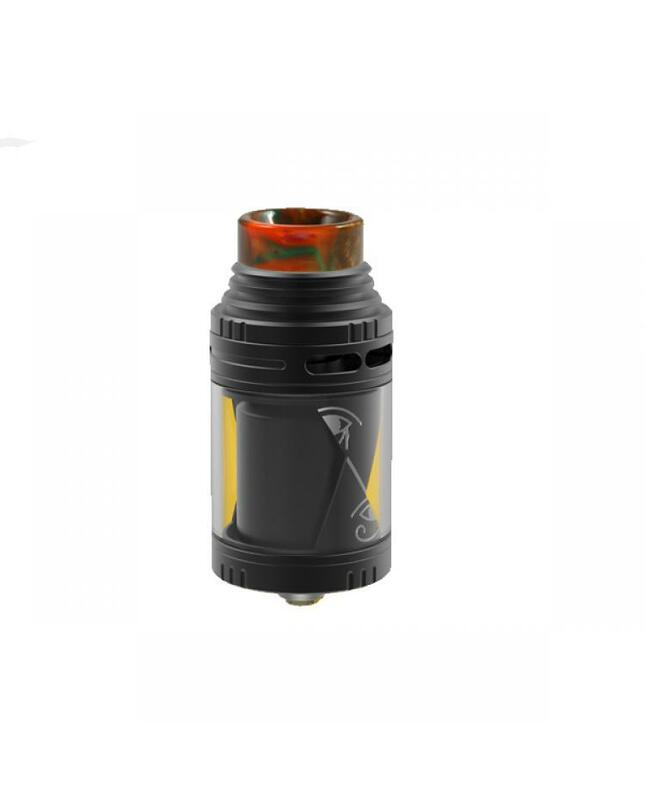 the vapefly horus comes with 810 resin drip tip and 510 drip adapter.